Name of the Post - ASSISTANT CENTRAL INTELUGENCE OFFICERGRADE-II/EXECUTIVE. Qualification – Graduation or equivalent from a recognized university. SERVICE LIABIUTY: The post involves All India Transfer Liability. Therefore, the candidates applying for the post should be ready to serve anywhere in India. EXAMINATION FEE:- Rs. 100/- (RUPEES ONE HUNDRED ONLY). Fee is exempted for all Women candidates and candidates belonging to SCheduled Caste and Scheduled Tribe. CLOSING DATE: 30 days from the date of publication of this advertisement in the Employment News. Therefore, on-line registration will become active from the date of publication of the advertisement till 2400 hours of the closing date (i.e., 30 days from the date of publication of the advertisement). (ii) Applications will not be accepted through any other mode. post can be seen on the website www.mha.nic.in before applying for the post. GITM (Global Institute of Technology & Management) is one of the best engineering colleges in India & top B-schools in Gurgaon, Delhi/NCR. This AICTE approved college is amongst top B-schools & offers best engineering courses based in Gurgaon. 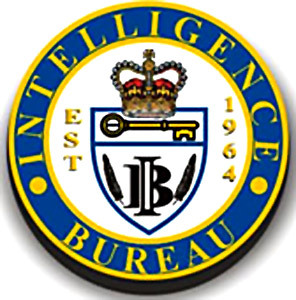 Thanks for sharing this information and please also provides the Latest notification about Intelligence Bureau Recruitment 2014 in India on Top 10 Employment Websites In India.